NEW Pizza restaurant open in time for the con! 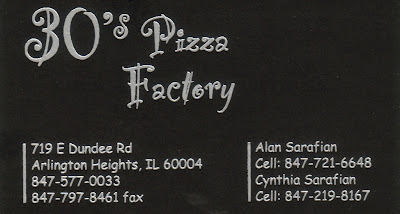 There is a GREAT new pizza restaurant that just opened up in ARLINGTON HEIGHTS, IL ...just in time for the WIZARD WORLD CON called 30's PIZZA FACTORY! Ask for the RANKIN/BASS KING KONG Pizza....30" BIG! 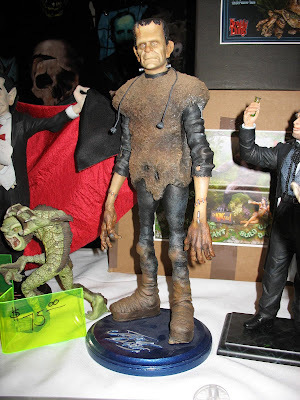 Continuing a tradition that began in 1967 (Just after the RANKIN/BASS series THE KING KONG SHOW began it's run on ABC-TV and the same year MAD MONSTER PARTY was released, which also starred KONG as "IT"). Tell them WWW.RANKINBASS.COM sent you for an added surprise! Their PIZZA and BEER NUGGETS are the BEST! 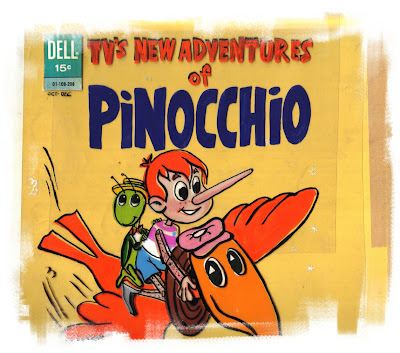 In the early 1960's, DELL Comics produced a series of 3 comic books based on the RANKIN/BASS hit TV series THE NEW ADVENTURES OF PINOCCHIO! Here are a few of the original covers. The first time the COMICON switched to the DONALD H. STEPHENS CONVENTION center...these comics were high on my priority list. 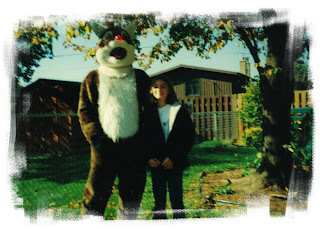 A few years back I rented this RUDOLPH costume for an ALEX ROSS Halloween party! The nose even lit up. My daughter SARA is seen pictured here with me. 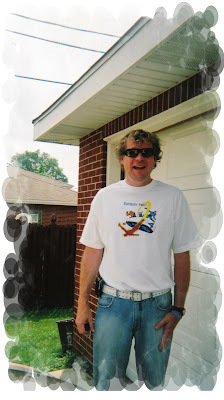 I later used it again in a segment WILD CHICAGO did for PBS Television. 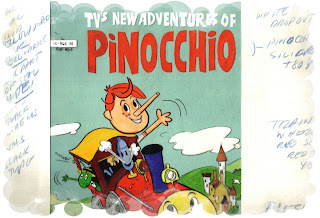 Here is a cool RANKIN/BASS Collectible from 1966 that didn't make my first book. 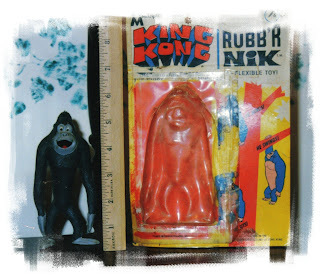 A KING KONG RUBB'R NIK from MULTIPLE TOYS. 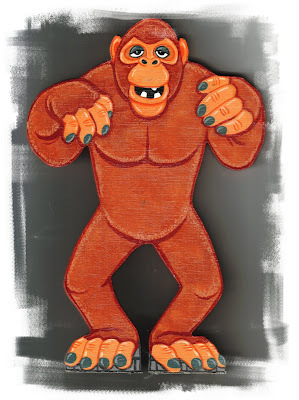 KING KONG was one of the few RANKIN/BASS series that had merchandise associated with it. MULTIPLE TOYS and MATTEL made products. Talking with some good people about some exciting RANKIN/BASS projects! Talking with a few ZOOs about a few RANKIN/BASS events this Holiday season. 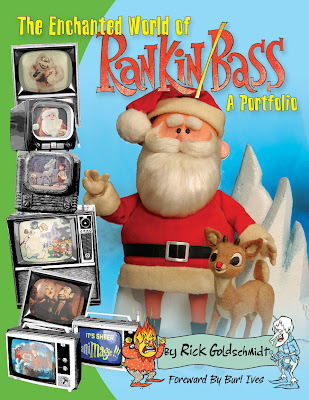 Also talking about doing an ultimate RANKIN/BASS Documentary for 2008 w/ a box set. This coming weekend is WIZARD WORLD CHICAGO! Look for the http://www.timeandspacetoys.com/ booth. I may be there on Saturday BUT say hello to KEVIN and BATTLESTAR GALACTICA'S Richard Hatch! LOLLAPALOOZA was this past weekend in Chicago and was interesting to say the least. 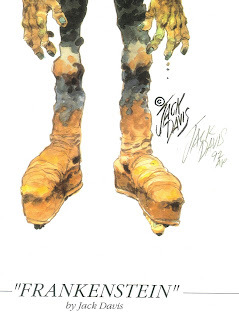 I have a cool JACK DAVIS print on EBAY under seller ANIMAGIC1.